This is a handy resource to help provide consistent patient care. 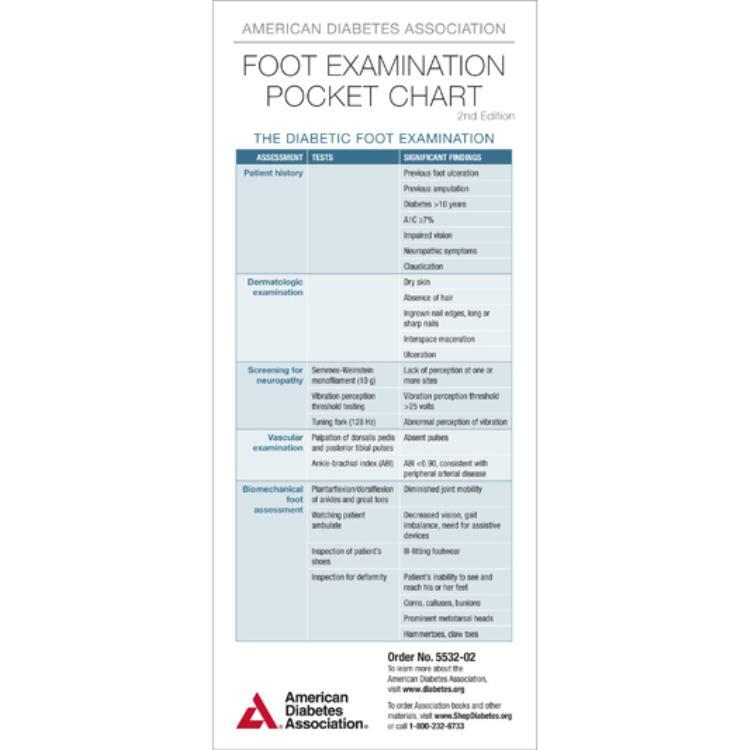 Compact, but complete, the pocket chart lists the major steps in the diabetic foot examination, risk classification, and patient education, plus strategies for treating infections in the diabetic foot, foot ulcer classification, indications for different dressings, and a guide for footwear prescription. 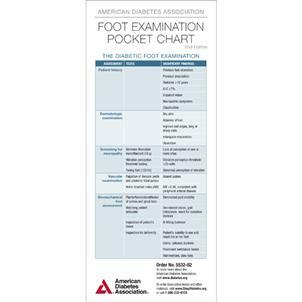 Also contains foot deformity diagrams and visual instructions for the Semmes-Weinstein monofilament test and ABI calculation.